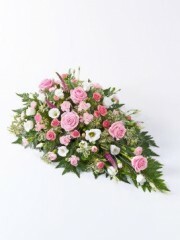 Funeral flowers from Perth florist are guaranteed to have something fitting to what you are looking for. At this sad time, we at Perth florist know it’s not easy, so we want to ensure choosing your flowers with us is as easy as possible. 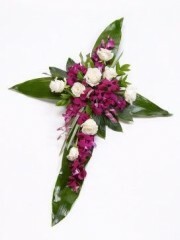 Our beautiful options of funeral flowers come in all different variations, shapes and designs, styles and prices. Funeral flowers are an important and personal thing so if there is anything you want to add, or replace to make them that bit more personal we at Perth florist would be happy to accommodate to your needs. At Perth flowers we have a vast range of flowers available, often gorgeous blooming white lilies are a peaceful and fitting flower if you are stuck for choice. If you would rather express your sympathy with a sympathy bouquet as an alternative, Perth flowers have a range of bouquets that would be suitable as an alternative. Perth flowers deliver so you don’t have to worry, just let us know where and when and we will take care of the rest for you at Perth florist.